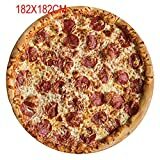 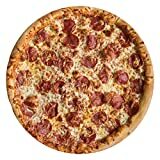 This cool new Pizza Blanket is a soft throw blanket that looks like a massive 5 foot diameter pepperoni pizza pie. 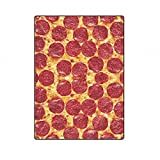 While non-edible, this tasty looking giant pizza blanket features a highly photorealistic print on polyester fleece and even comes in a real-life cardboard pizza delivery box. 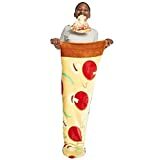 Pairs nicely with the equally cool and quite hunger-inducing Burrito Blanket.